In a deathbed confession an old man, Ivan Biermann, breaks a lifetime of silence and tells his granddaughter, Kim Biermann his story. Part One:- 1945 Oberleutenant Ivan Biermann is a navy pilot aboard the German Raider Well-Reiter that has been ordered to surrender to New Zealand authorities at Bluff, the closest Allied port after the German surrender in May 1945. Instead it goes into a fiord where its secret cargo is unloaded and buried in a cave. After setting charges to blow up the Well-Reiter Korvettenkapitan Schwarz the Nazi political officer aboard forces Ivan to fly him to the North Island in the boat’s floatplane. Ivan realises that once they land he will be killed. 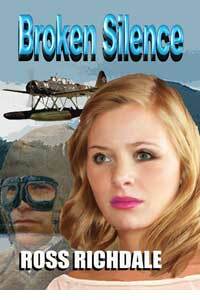 He puts his aeroplane into violent manoeuvres and his floatplane crashes in the Tararua Ranges. He survives and meets Sally who takes him in as a worker on her farm and he takes the identity as a Dutchman from Dutch East Indies. Later Ivan and Sally marry and keep silent about his true identity. Part Two:- 2009 Kim and her partner Troy set out to find her grandfather’s floatplane. International terrorists become involved and Kim’s life is in danger. Harry, an old friend of Ivan’s helps but he is not who he seems to be. Kim travels to Fiordland to search for the cave. However, her home has been bugged and they arrive to find a North Korean submarine waiting. They also want the secret loot buried there for sixty years.